Fill and protect implant screw access holes and screw heads for abutments and screw retained restorations from cement and composite. Protect threading, screws, and internal components of implants and abutments. When cured, Liquid Magic has a rubbery consistency and not adhesive to implant components making it easly removed by a probe or explorer. Use instead of teflon tape and cotton pellets. Isolate and contain restorative materials. Biomimetics - seal out unwanted materials. Block out, undercuts, and other similar uses for Dental and Lab procedures. Light-cure Resin: 20 seconds - 3.5 mm depth of cure. 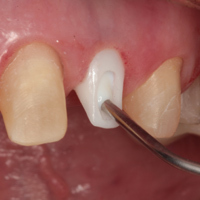 How to efficiently place a cemented implant crown. 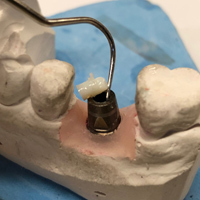 Using TAUB Products' new implant cementation system to increase efficiency and speed. An independent, non-profit, dental education and product testing foundation, Clinicians Report®. For the full report, go to www.taubdental.com or click this link. 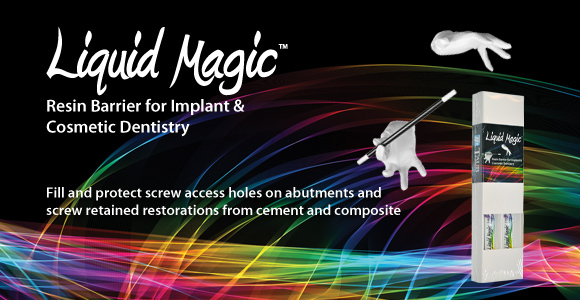 - Use on all final restorations, including implant abutments and components prior to insertion. - GoCHx™ Gel stays in place. 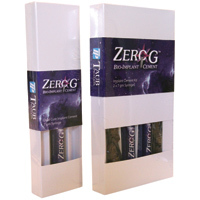 - Rinses easily - Water soluble.